Home » VW Golf » How spacious is the VW Golf? How spacious is the VW Golf? The 2018 Volkswagen Golf is a sporty hatchback that has a lot to offer drivers. Its compact size and agile performance make it a great candidate for you next vehicle. We know that shoppers are curious about more compact vehicles and their interior space. Let’s take a look at the 2018 Volkswagen Golf interior volume and cargo room to show you just how spacious it is. The 2018 Volkswagen Golf can seat up to five passengers. 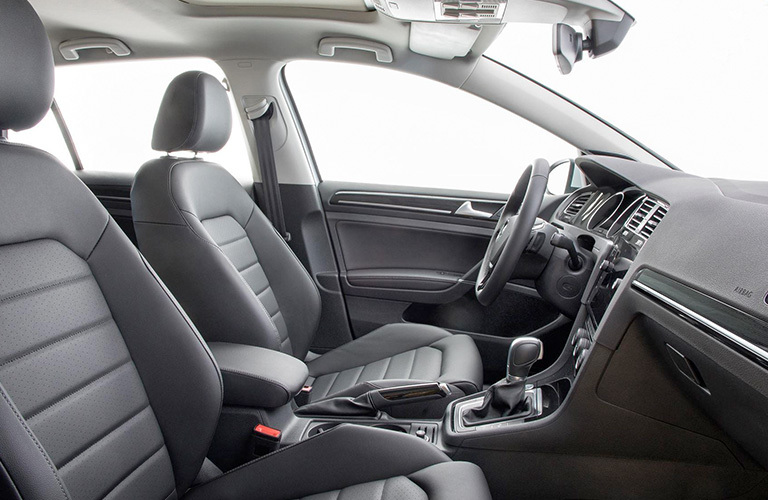 This hatchback has enough legroom to fit you and your passengers comfortably. In the front row, you and your co-pilot can stretch out in the 41.2 inches of legroom. For your passengers in the rear, they can take advantage of the 35.6 inches of legroom. Now that you know more about the cabin dimensions of the Volkswagen Golf, let’s take a look at how much space there is for your cargo. If you are taking a trip or need to carry more luggage with you, the Volkswagen Golf is happy to help you. The 2018 Volkswagen Golf has a cargo volume of 22.8 cubic feet. That is plenty of space for your extra gear and equipment. This hatchback is designed to give you more options when travelling. As you can see, the 2018 Volkswagen Golf interior volume and cargo room gives you more space for your passengers and luggage. We hope that we helped you find everything you were looking for. 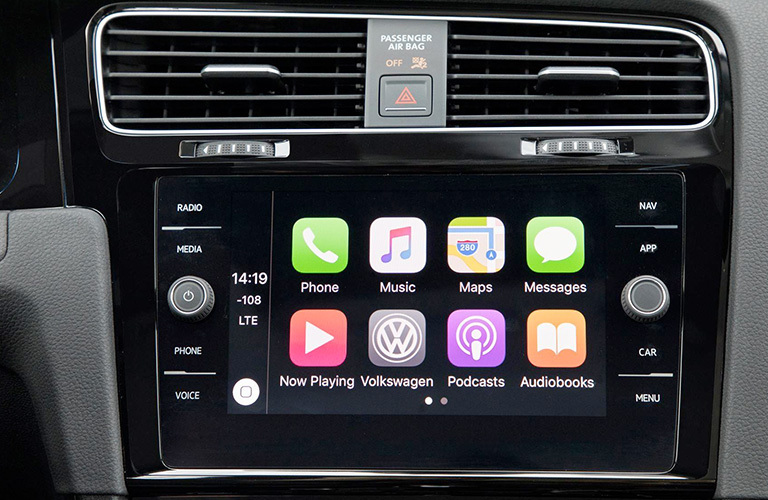 If you would like to learn more about the 2018 Volkswagen Golf or any of our other Volkswagen models, you can check out our online inventory to see what we have available and schedule a test drive with us at Speedcraft Volkswagen today. What colors does the VW Golf come in? This entry was posted on Friday, April 6th, 2018 at 12:45 PM	and is filed under VW Golf. You can follow any responses to this entry through the RSS 2.0 feed. You can leave a response, or trackback from your own site.